The ultra-thin outer layer of bark peels during the spring revealing the smooth, cool silky-red new bark below. The rich, reddish coloration comes from tannins and other compounds manufactured by, and deposited in, the cells of the outer bark. The curled bark is reminiscent of curled wrapping ribbon. 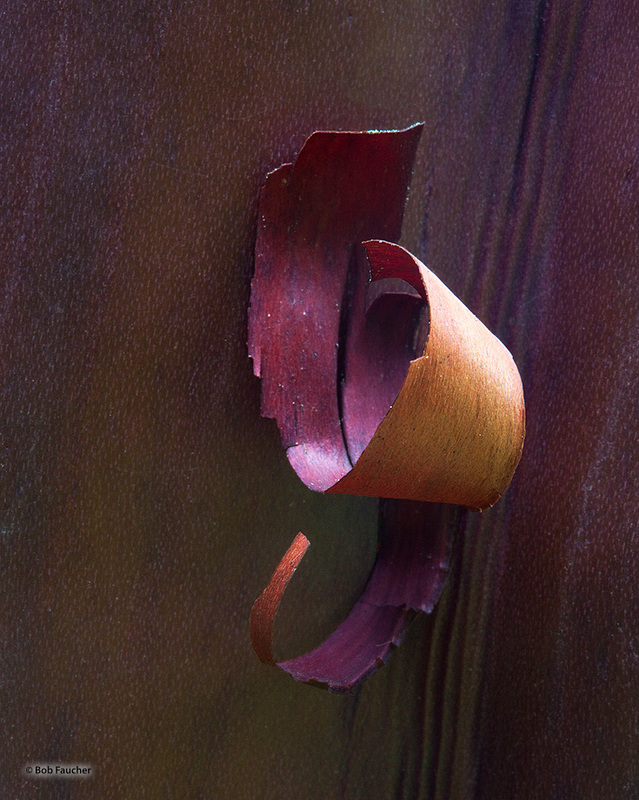 Light reflecting from the inner and outer surfaces of the peeling bark produces myriad hues, fit for any occasion. Photo © copyright by Robert Faucher.